Health authorities are managing seven cases of mumps on Badu Island and the Kubin community on Moa Island in the Torres Strait. Torres and Cape Hospital and Health Service Acting Director of Medical Services North Dr Marlow Coates said an immunisation program would get under way in the two communities on 20 July and last for two weeks to get as many people vaccinated as possible. He said the health service was being supported by Tropical Public Health Services (Cairns) in its response to the outbreak. Dr Coates said the latest cases were a timely reminder for Torres Strait, Cape York and Northern Peninsula Area residents to make sure they were up to date with their combined measles, mumps, rubella vaccination (MMR). 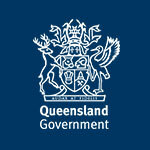 In Queensland, anyone born after 1965 is entitled to two free doses of the MMR vaccine. Single dose mumps vaccine is not available in Australia. Dr Coates said two doses were needed to provide the best level of protection against measles, mumps and rubella and could be arranged through your local primary health care centre or GP. He said an additional free MMR dose could be provided for those for people who did not have or could not readily obtain evidence of having had two doses in the past. “The MMR vaccination also is offered free of charge for all Australian children as part of the National Immunisation Program Schedule,’’ Dr Coates said. “Immunisation against mumps is recommended for all Australian children at 12 months (first dose) and 18 months of age (second dose). Dr Coates said mumps was a contagious virus that could cause swelling of the salivary glands, fever and headaches. “It’s not generally a serious illness but complications sometimes can occur,’’ he said. “Serious complications including inflammation of the brain, spinal cord and pancreas, hearing loss and sterility are rare. “In males, tenderness of the testicles may occur, while females may have some lower abdominal pain. “While vaccination can prevent mumps, once you have the infection, there is usually no specific treatment required except time to recover. Dr Coates said mumps was spread by direct contact from saliva and droplets from coughing or sneezing. “Up to one-third of people with mumps have no symptoms, but are still contagious,’’ he said. Dr Coates said people with mumps could help contain the virus by staying at home for five days after the swelling had started. “The most infectious period for mumps is usually about two days before until five days after the onset of the illness,’’ he said. “But someone with the disease can be contagious from up to seven days before until nine days after the swelling of the salivary gland. “People without symptoms can also pass on the disease. A total of 10 cases of mumps have been notified within the Torres and Cape HHS region so far this year, including the latest seven cases in the Torres Strait. Visit Viral infections - Mumps for more information.